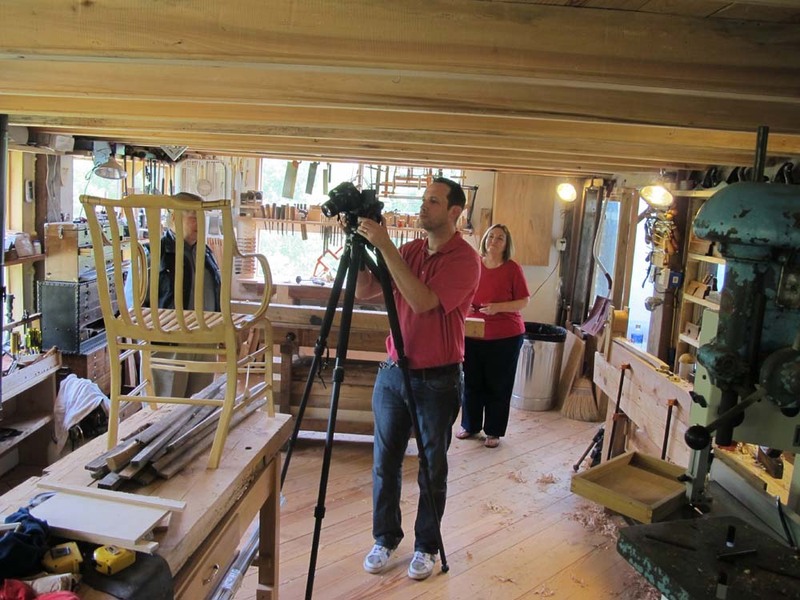 Yesterday I had the unmitigated delight of hosting Charles Brock (aka Mr. Highland Woodworker), Mrs. Brock, and Charles’ videographer colleague Stephen Price. 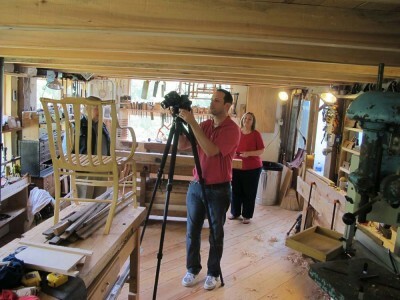 They were up to film a segment for an upcoming HW episode, talking to me about my passion for finishing, which does make me a bit of an oddball in the woodworking world (which just confirms my oddball-ness in relation to just about every facet of the human endeavor) and my upcoming production of Gragg chairs. Being a chair maker himself, Chuck and I got into pretty deep weeds about the minutiae of curvilinear chair construction. 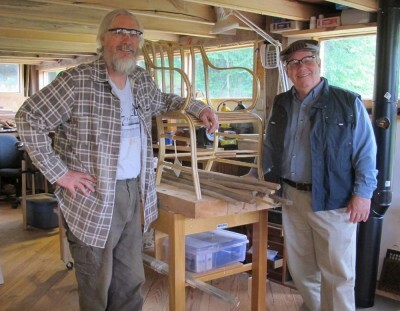 Thank you Chuck (and Mrs. Brock) and Steve for a day of invigorating conversation, and giving me the opportunity to show off The Barn to you.